Since my quadruplets were born in October they tend to think of the whole month as theirs so we are constantly whipping up fun treats all month long like this special Halloween Candy Corn Rolo Pretzel Bark! 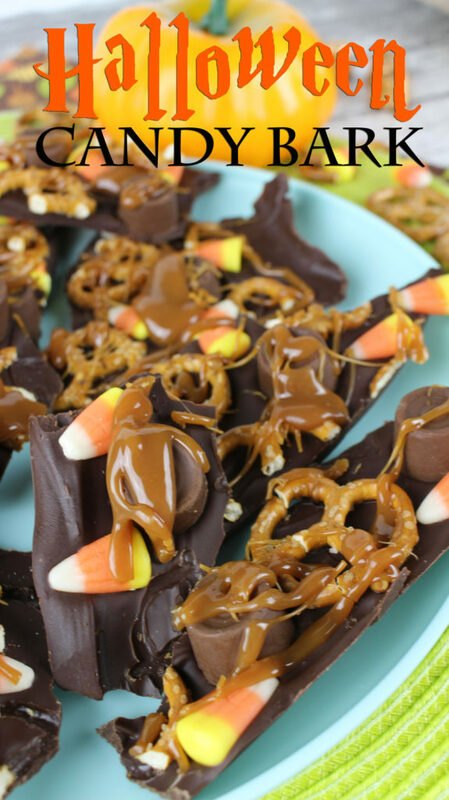 This recipe is also a great way to use up some of your leftover candy after Halloween is over and the combination of salty and sweet is amazingly tasty. Disclosure – I was compensated for this post. This post also contains affiliate links and I will be compensated if you make a purchase after clicking on my links. Although my five kiddos are getting a little too old for trick or treating, they still really enjoy decorating the house and the yard for the season so we always hit our local Dollar Tree first to pick up all our Halloween and Fall Decor needs. 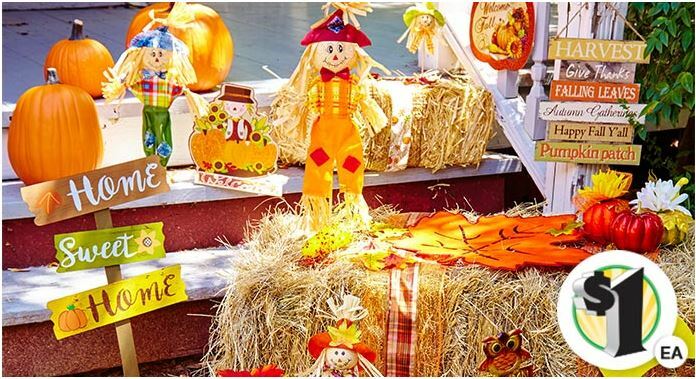 Everything is always just $1 so you certainly can’t beat the prices, but they’ve also got lots of great stuff to choose from like these scarecrows and fall signs. I love the “Home Sweet Home” sign for the flower bed beside our front door and the hanging “Harvest” sign would look great nestled inside a wreath on the front door. Some of my favorite finds that I always hit Dollar Tree first to pick up are seasonal place mats like the leaf shaped ones above and craft items so the kids can make some of their own decorations. You already know stores like Dollar Tree and Family Dollar are great places for cheap deals and steals, but you should also know they can be a one stop shop for your Halloween costume needs! 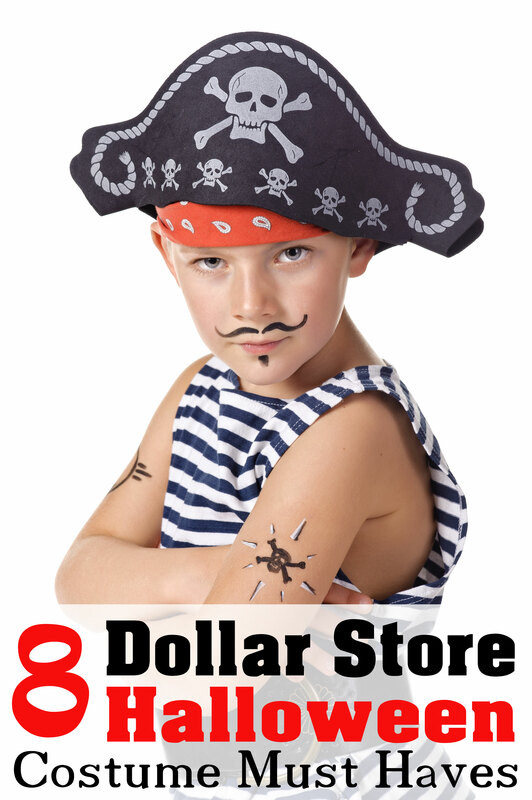 Dollar Tree, Family Dollar and other similar stores carry a variety of Halloween costume accessories, perfect for making your costumes complete. Check out these 8 Dollar Store Halloween costume must haves, so you can get the look you want for less. You will be amazed at what they have to offer! 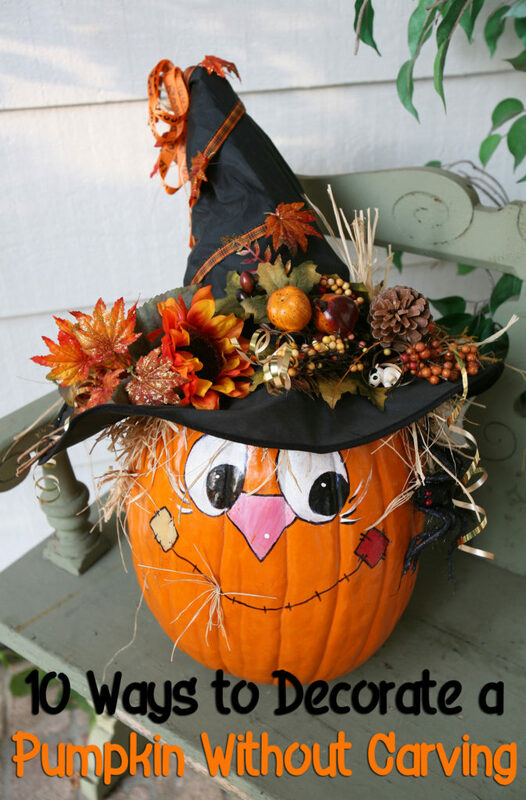 I know how hard it can be on your wallet to supply all your little ghosts and goblins with those amazing Halloween costumes. 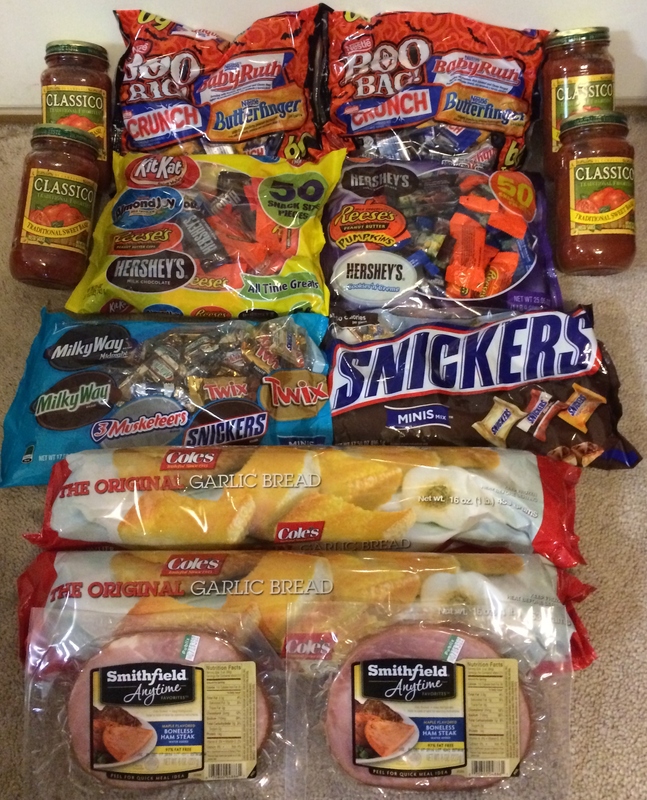 Not to mention the cost of supplying your neighborhood with full sized candy bars! 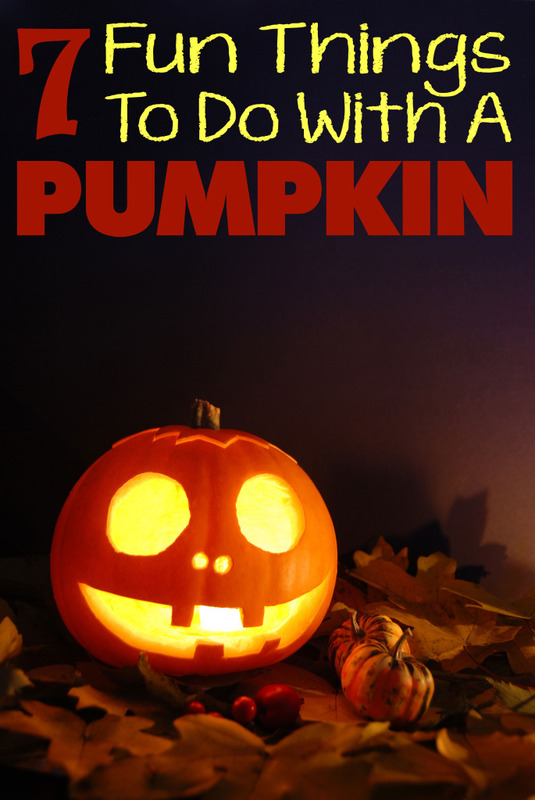 So to help a little with the budget I’ve teamed up with a few other bloggers to give you a treat this Halloween. 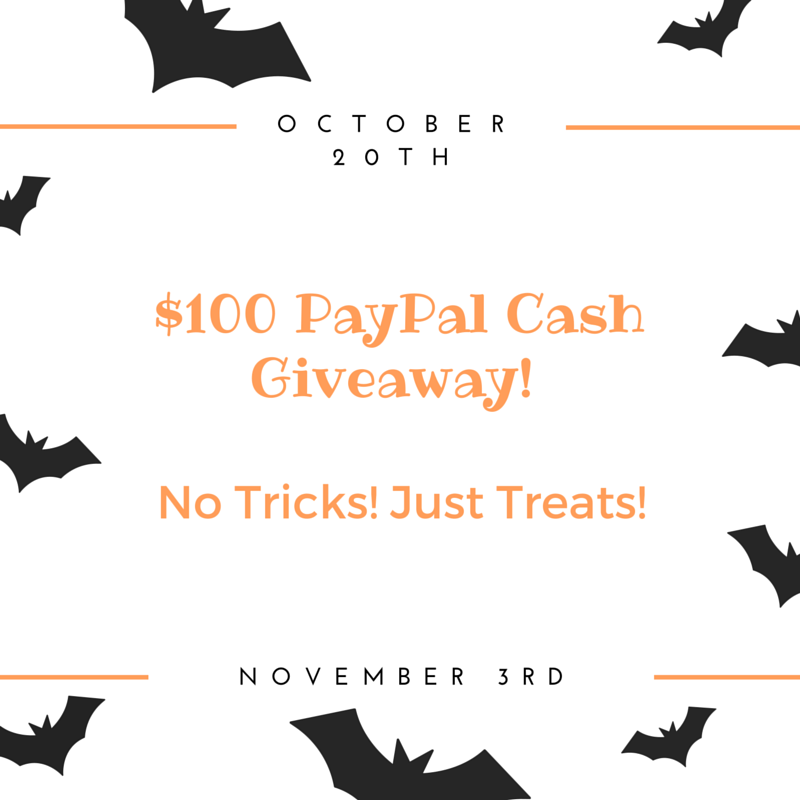 One reader will be receiving a $100 deposit into their PayPal account to say thank you for making your kids Halloween so awesome. It’s super easy to enter! From now through November 3rd you can use the simple form below to enter and remember to share with your other Halloween Superheroes! My quadruplets were born in October so Halloween has always been a special holiday for them and all the kids love fun foods. 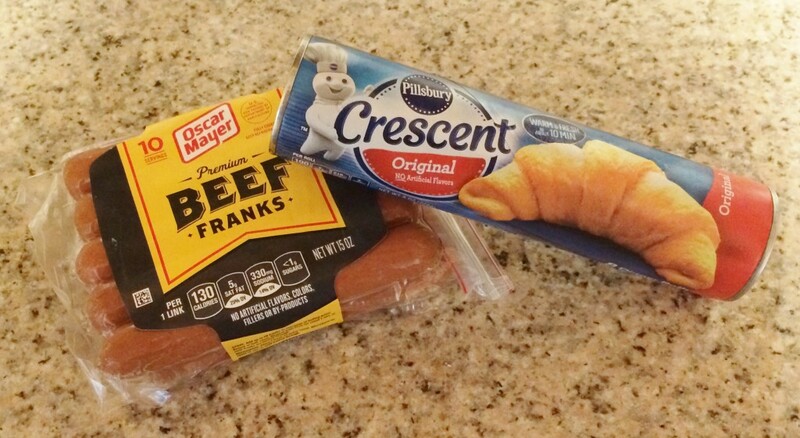 These Pillsbury Crescent Roll Mummy Dogs are one of their favorites and they’re so easy to make with just a couple ingredients. 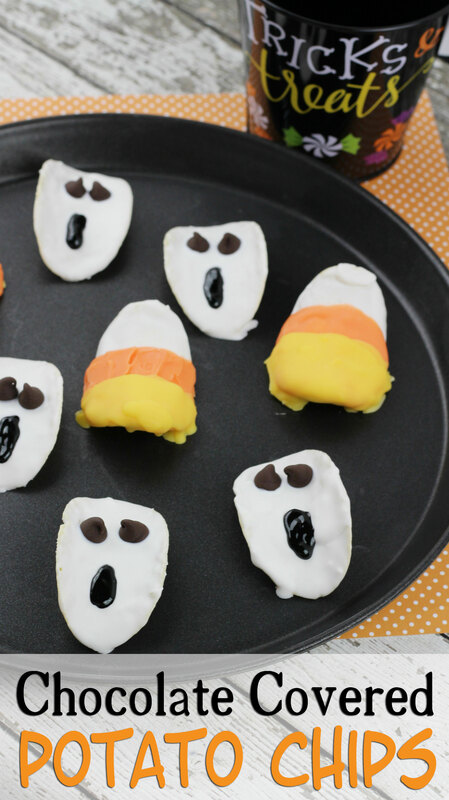 The kids love to help make these Halloween mummy hot dogs almost as much as they love to eat them! All you need are a package of your favorite hot dogs and a can of Pillsbury Crescent Rolls. From now through October 30th you can get a coupon for $1/2 Pillsbury Refrigerated Baked Goods products and from October 22nd through the 28th they are on sale for 3/$6 at Publix. Flatten out the crescent rolls on a cutting surface then use a pizza cutter to cut them into “bandage” strips for your mummies. Once they’re done cooking you can use a toothpick to dot on mustard or ketchup for eyes on your mummy dogs or you can use a food marker like I did with these. 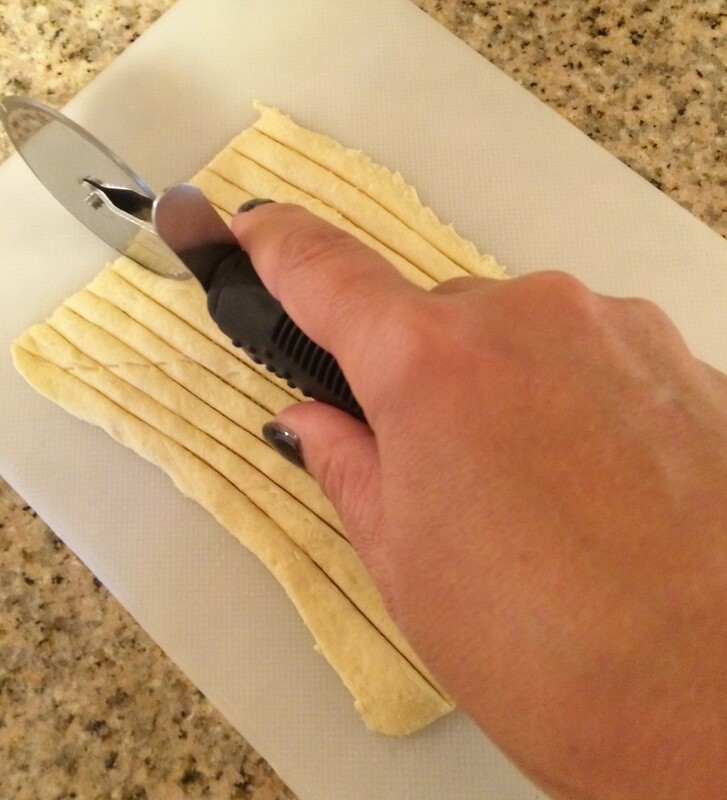 Roll out the crescent rolls on a cutting surface and cut into strips with a pizza cutter. Wrap the hot dogs with the crescent roll strips. Be sure to leave a gap near the top of each hot dog for the eyes. Use a toothpick to dot on mustard or ketchup for the eyes, or use a food marker to draw them on. 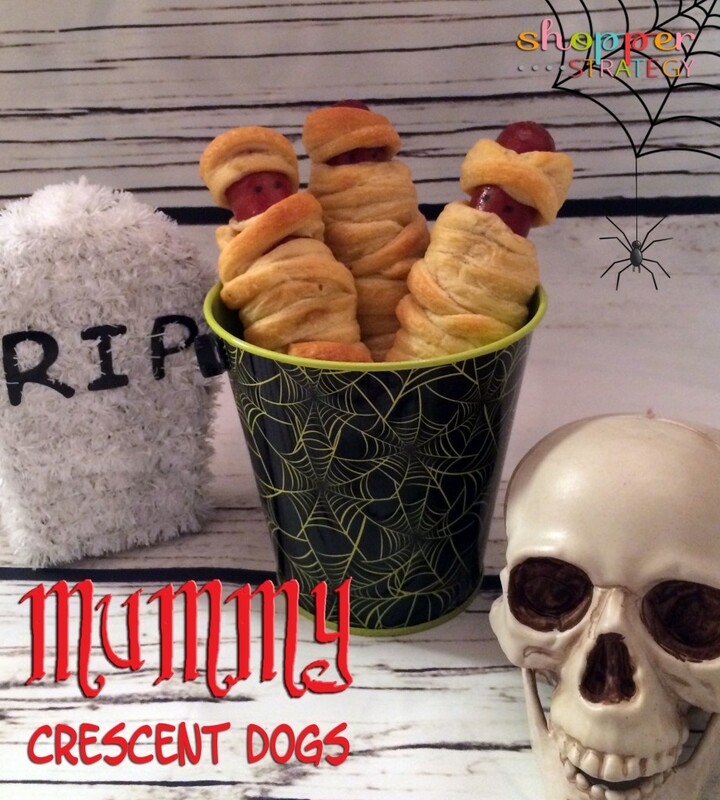 I’m super excited to be able to giveaway $15 PayPal cash so one lucky reader can buy some Pillsbury Crescent Rolls and hot dogs to make this mummy dog recipe for themselves. To enter to win just do any or all of the things listed in the Rafflecopter widget below. This giveaway will end at midnight on Saturday, October 31st. We get most of our craft supplies and holiday decorating items at Michael’s because they have such a great selection and they always have terrific coupons! Now they’ve got hundreds of Halloween items on sale – just click the banner above to check them out and print this week’s coupons!